Vietnam Oil and Gas Group, or PetroVietnam, and Korea’s leading steelmaker POSCO signed a memorandum of understanding for developing Vietnamese electricity projects in Hanoi on July 19. 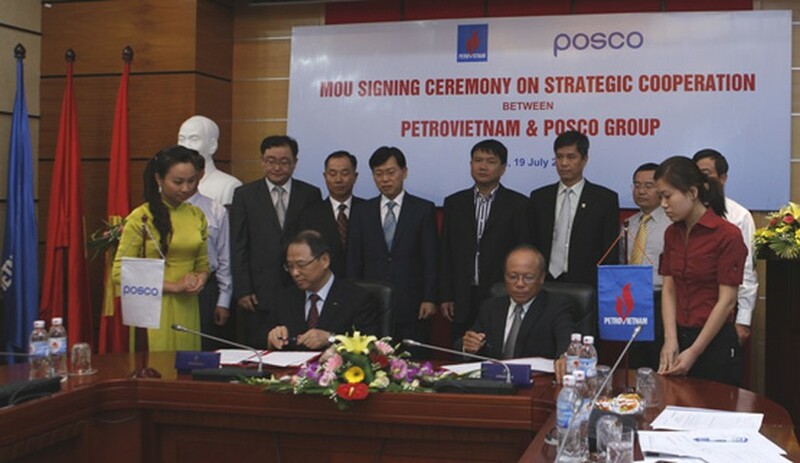 At the signing ceremony, a representative of POSCO said the group has plans to build new electricity projects and wants to cooperate with PetroVietnam to develop existing power plants with the aim of providing efficient and stable electricity to the country as soon as possible. Cooperating with PetroVietnam, one of the leading energy corporations in the country, will help the two sides cooperate efficiently to build, operate and manage POSCO’s electricity projects in the future, said the POSCO representative. Vietnam’s rapid pace of economic growth has greatly increased its demand for power. Recently, the country has faced difficulties expanding its capacity to generate electricity, with demand increasing over 14 percent annually and severe water shortages due to this year’s drought. 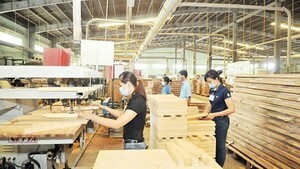 POSCO’s cold rolled steel factory, inaugurated last year in the southern province of Ba Ria – Vung Tau, has also faced difficulties due to the electricity shortage, leading the factory to operate under capacity, said the representative. Therefore, the group hopes to cooperate with PetroVietnam in developing available power projects to ensure a stable electrical supply.